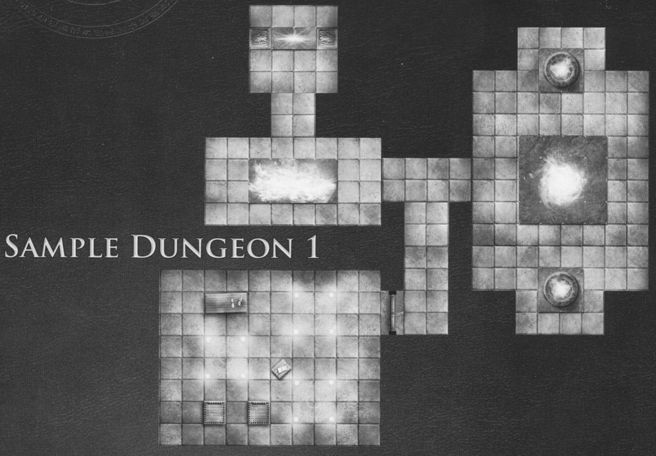 I enhanced my gallery of Dungeon Tiles sets with reference pages devoted to each set, starting with the first. This addition reveals my glaring lack of photos for any of the three master tiles sets. I punched and scrambled my own copies of the master sets before I thought of my photo gallery. I’m reluctant to buy second copies, because I seem to have a lot of dungeon tiles already. So I’m calling for help. If you have an unpunched copy of a master set that you could photograph for this reference, please let me know in the comments. This entry was posted in Uncategorized and tagged dungeon tiles, Dyvers, Radiating Gnome. Bookmark the permalink.